James Gregorie's Garden. Courtesy of the Charleston County Register of Mesne and Conveyance. James Gregorie was a scottish merchant whose residence at 28 Broad Street was also his place of business. A lost formal garden at the rear of Gregorie’s property along Chalmers Street was once the domain of Mary Christiana Hopton Gregorie, whose mother, Sarah Hopton, was one of Charleston’s leading early gardeners. 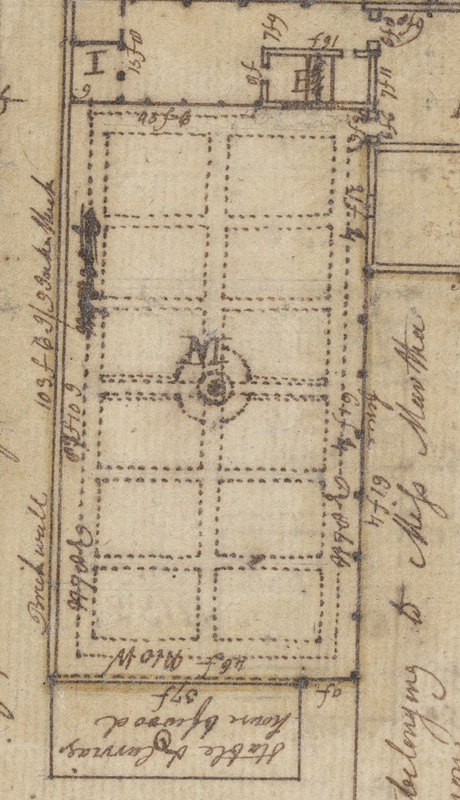 This plat, executed in 1797 shows a garden with many square beds adjacent to a stable and carriage house.